Last Thursday evening I went by the Flag Room, a well known watering hole & eatery nearby the Indianapolis Motor Speedway - where Barb Hellyer has started showing old racing movies in there on Thursday nights. Barb grew up with racing in Pennsylvania. She worked for A.J. 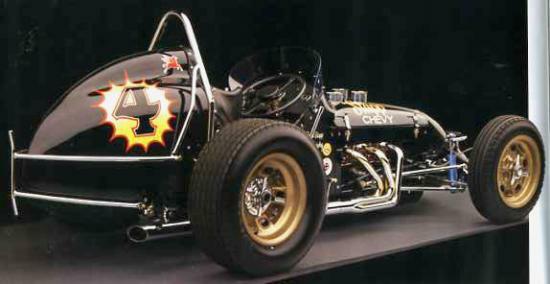 Foyt, USAC, NHRA, Indianapolis Raceway Park, and who knows how many other places. Last Thursday night the movies featured Sprint cars and tracks around the country. Some went back as far as 1929 but most were 1960's-70's. One of the tracks was Jungle Park here in Indiana; where two of the turns were dirt with the other two being asphalt. Drivers such as “Super Tex,” (Foyt) Mario, (Andretti) ‘Gordie, ( Gordon Johncock) “Lone Star JR,” (Johnny Rutherford) Lee Kunzman, Pancho Carter and Eddie Sach's were some of the starting field there... Can you imagine today's IndyCar drivers doing that? Seated at the table with us was Johnny Parsons, Jr. and it was pretty cool listening to him and Barb tell about the different tracks. I’ll be going back this Thursday evening. Hey Spanky, Ease up Smart Feller... Was only tryin' to get the word out for this racing related activity now being held at the Flagroom. May be you should try attending 'Juan evening?